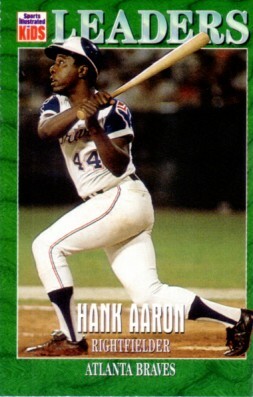 Sports Illustrated for Kids card of legendary slugger Hank Aaron distributed only in one 1997 issue. Slightly oversized, with typical perforations. ONLY TWO AVAILABLE FOR SALE.